I 'found' your blog and am tears are spilling over my eyes with such force, that I can hardly type. My heart bleeds for you, and with you. As I too just returned from Zambia and I too lived among many that became 'My kids'. God brought me back a year and a half early (from my original plans) and I'm still fighting with the WHY'S and WHEN (will I return to my beloved home in Africa)? I tell God daily in prayers that I don't need to be in Zambia, but rather AFRICA... anywhere as He has given me a heart such as yours to LOVE and SERVE those around me.. (here or THERE). I thought I'd found a new NGO (organization) to go back with... but in the last 48 hours that dream has nearly been crushed before my eyes, once again. 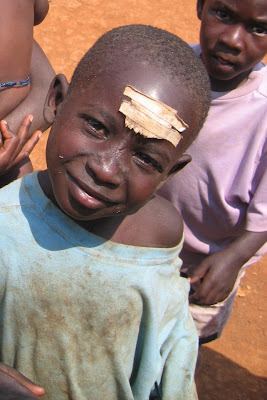 I yearn to go back "home to Africa", and live and love and kiss the dirt covered faces of little ones (day after day). Some times I think it's not fair, and I think God has forgotten about me and my love for the African people... Yet I must trust and believe that he has a plan (for having me state side) and I have to force myself to TRUST HIM and BE PATIENT. I'm not sure what organization you were "there" with, or if they are in need of volunteers, but I'd be willing to place it before the Lord and see if THIS would become an open door to Africa....??? I'm so thankful that you have this post, and God allowed us to meet in this way. I too have been encouraged and lifted up in ways (big and small) by your heart, passion and willingness to seek the LORD in all you do. GREAT IS HIS FAITHFULNESS and HE will see the needs of these (150) kids come to pass... as you have said. What a sweet promise from the Lord to the most beautiful faces that I have ever seen. What beautiful children...and you are as well. How lucky that you found each other! Praying for you. those are my favorite verses!!!! hope you are doing well! im praying for you and your kids in africa!! oh, my. sometimes i look at these little faces and just start crying. 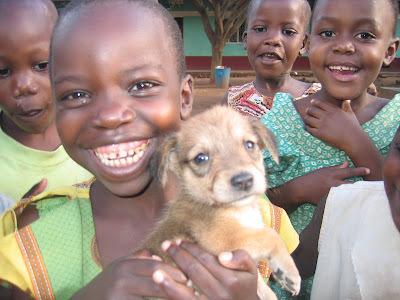 143 million of these precious faces world wide. you are an amazing young woman, Katie. To God be the glory, He has used you to touch so many lives. I love your heart! Your story is wonderful! so touching... Our family is starting our own "journey" to Uganda to adopt and more... May I e-mail you with questions regarding your school? May our mighty God continue to bless you abundantly as you serve Him with all your heart!! oh my gosh! those little faces make my heart sing! I can't wait to go there with you and love on those lil cherubs. i'm soooo looking forward to seeing the money flood in. Our God is BIG and so is your sweet heart. I love you sweet sister. so glad that the Lord gave you to me....what a gift! 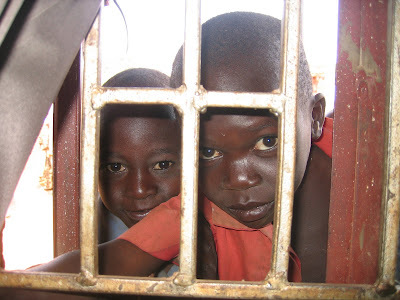 I found your blog by way of Kristi's blog and I have been praying for you and your ministry in Uganda ever since. You are an amazing young woman and I will keep you in my prayers every single day. Check out my blog. I have given you an award. I just have to tell you how much I love your heart, your dreams, your calling, your service to the Lord, your passion for these heavenly gems and our big God for choosing someone as amazing as you to change so many lives! You are an inspiration girl! We have like souls and so I lift you up and embrace you close to my heart as God leads you "home" to your children. I'm also going to feature you on my blog if you don't mind linking to your blog since your posts seem to steal the words right out of my fumbling mouth! A friend just found your blog and thankfully shared it with me. I am a mom of a precious child from China that used to be an orphan and I'm an advocate for orphans. Your blog blew me away and has taught me so many things. I have posted the address to your blog on my blog and shared it with my adoption yahoo group. Thank you for showing us what it really means to be the hands and feet of Christ. You are amazing. Better yet, God is amazing, and what you are doing illustrates His love for us. I learned about your blog from Tracy Mihnovich. I am the Minister to College Students at FBC Hendersonville. My wife and I are adopting 2 children from Ethiopia. I am going to share your story with my college students. I am going to blog about you. I want them to be inspired by you to do CRAZY things for God. How long will you be in Tennessee? I would LOVE for you to come speak to our church if you have any spare time at all. I have not even read your whole blog yet, but I don't have to inoder to see your passion for these children. I have heard so.. much about this blog and thought I had better check it out. We have 6 children four biological and two adopted, one from Russia and one from China. We are in the process of getting pre-approved to adopt a sibling group of 3 from Ethiopia, Lord willing. My heart tells me I want to be mother to so many more but I have been reserved, because not everyone gets it, it is not American that's for sure. God is so good to show us that we don't have to fit into little boxes, meet Katie. What an amazing task God has called you too. He has entrusted you to so many, what Glory this is bring to Him, he so deserves it. We are also hoping to go to the field someday. I am training to be a midwife and my husband would love to teach. But most of all I would love to care for orphans. I am so greatful for your blog, I can't wait to show it to my husband. Thank you for sharing your story with us. We will be praying for you.